This is the home page for our 21st major research exhibit at the IEEE/ACM Supercomputing conference. The exhibit is again under the title Aggregate.Org / University of Kentucky, the informal research consortium led by our KAOS (Compilers, Hardware Architectures, and Operating Systems) group here at the University of Kentucky's Department of Electrical and Computer Engineering. We are booth #3413, on the far right as you enter the hall. There were several other 3D printers running on the show floor. Indiana University had a Lulzbot Taz printing a captured gear thing... well, at least trying to with most parts failing. There were also a couple of MakerBots, one in particular trying to print things like a little red dragon which had horrifically ill-designed overhangs that came out as messy as one might suspect. In fact, our M2 was the only printer making things designed by the folks operating the printer. The M2 also was printing most of what we did at 140mm/s at 0.25mm extrusion, while the other printers were running as slow as a ludicrous 10mm/s in a (failed) attempt to get comparable print quality. Live video from the blue webcam on the printer was also displayed on the big screen, really showing-off the M2 print speed. 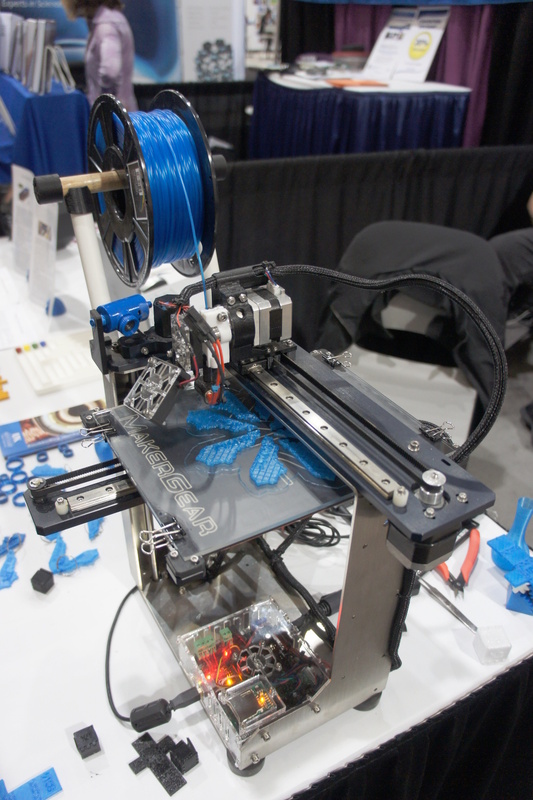 We didn't ask MakerGear for anything, nor did they give us anything, but they sure got some great PR out of our booth! 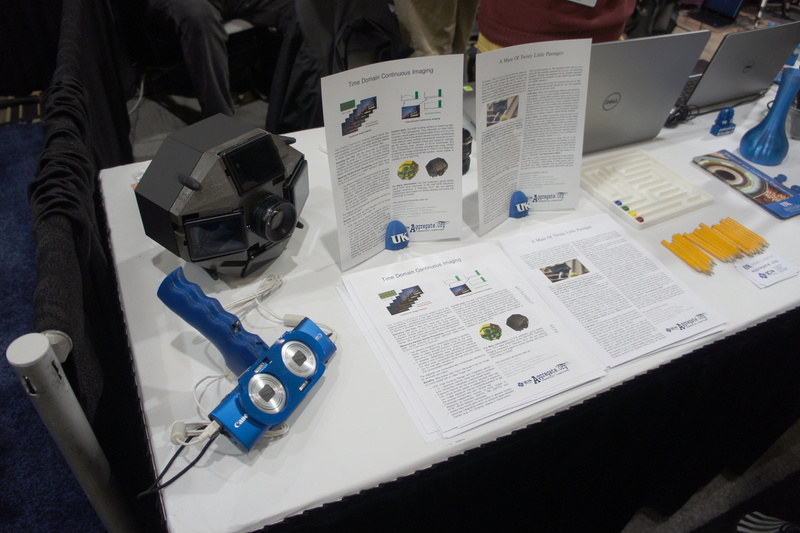 The big surprise in our booth was the 20-year-old TTL_PAPERS microcluster. 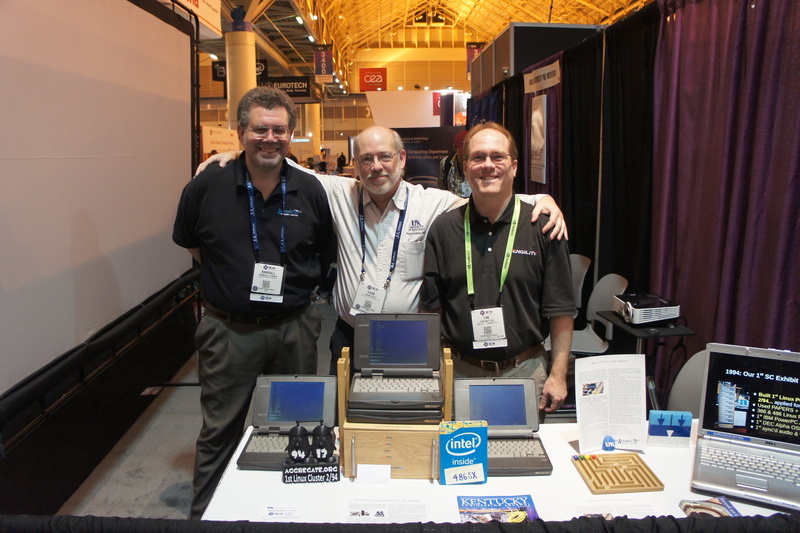 We celebrated 20 years of Linux cluster computing at SC13. 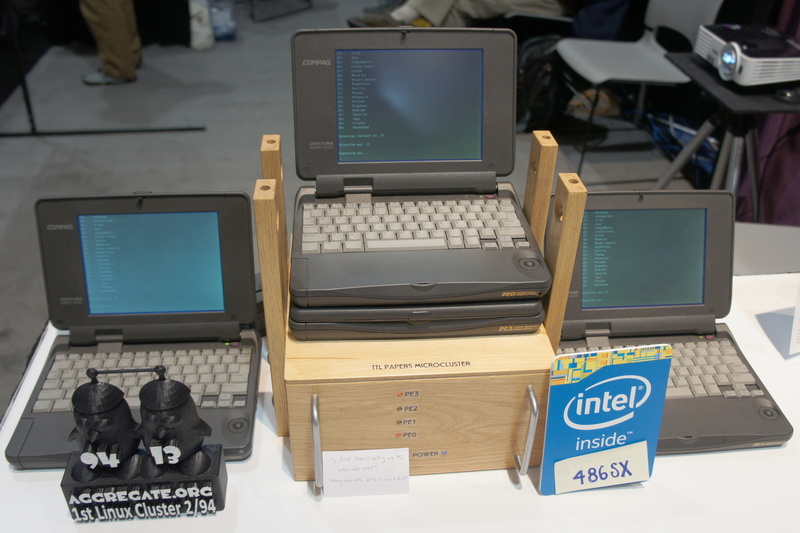 However, with all the fuss about 20 years of Beowulf, we this year decided it might be fun to revive this old cluster, which in 1995 became the first portable (luggable) Linux cluster. After replacing CMOS back-up batteries, only one of the four Compaq Aero laptops didn't boot (bad disk). We recompiled the ancient software for 3 processors and everything worked! 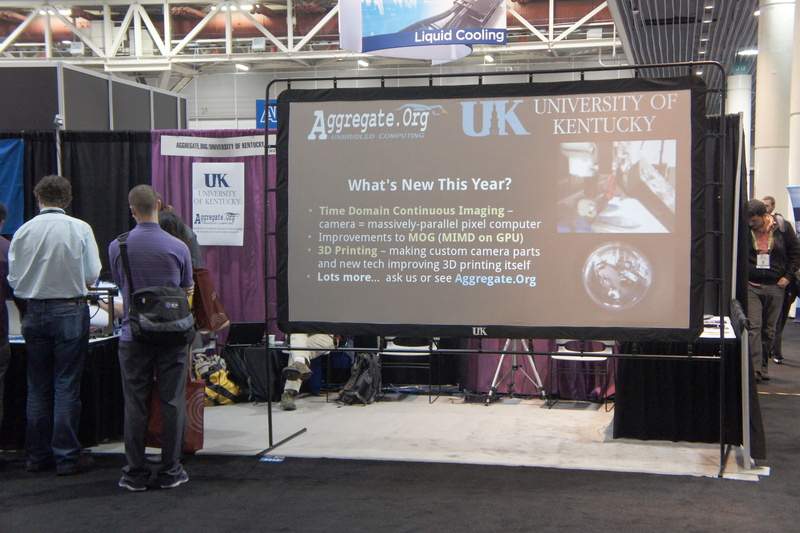 Here are the SC14 booth people for Aggregate.Org / University of Kentucky. 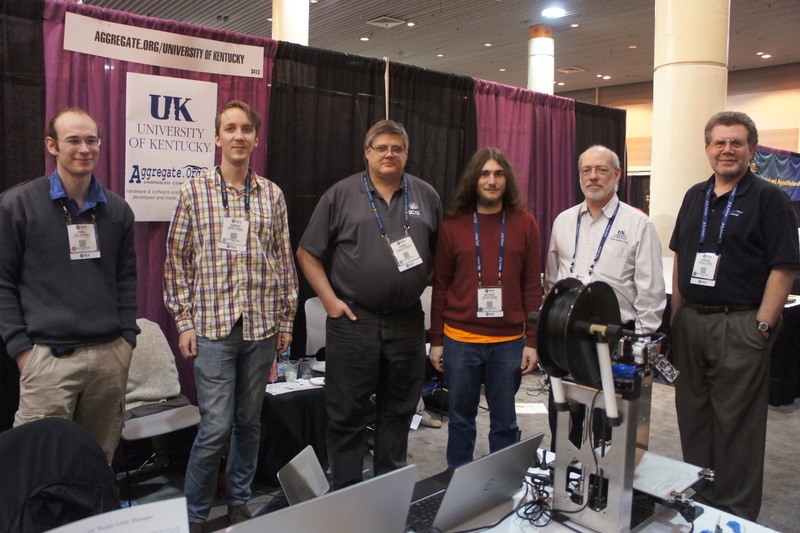 Left to right, Paul Eberhart, Sam Morris, Frank Richardson, Zachary Snyder, Professor Hank Dietz, and (not at UK but still with Aggregate.Org) Dr. Randy Fisher.